The next PlayStation 4 exclusive game is coming on April 26th and it’s a little title you may have heard of, Uncharted 4: A Thief’s End. 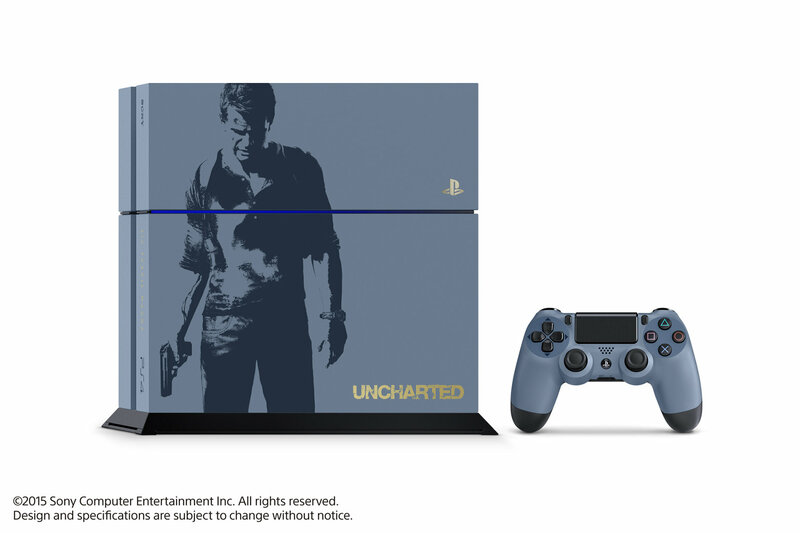 As a special tie in for the release of what is possibly the last Uncharted game, Sony will be releasing a special, Limited Edition 500GB PS4 Uncharted 4 Bundle. 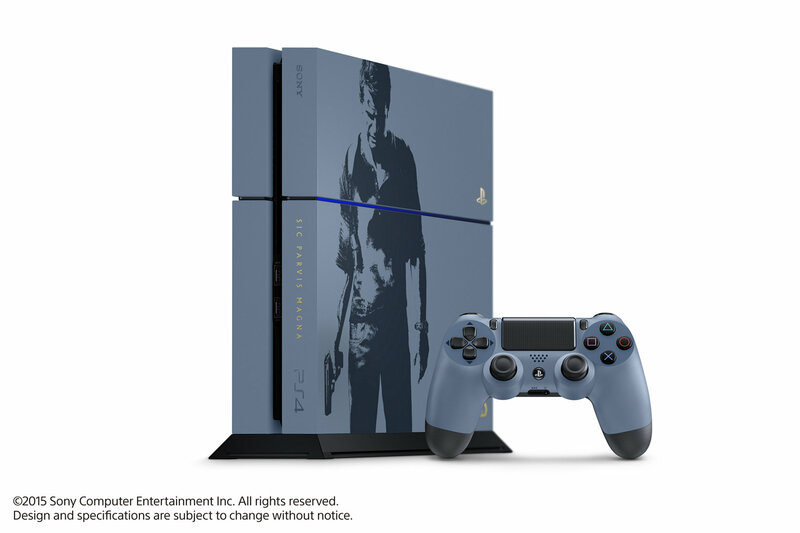 This bundle includes a Limited Edition 500GB PS4 in Gray Blue featuring a silk-screened image of Nathan Drake, as well as a matching DualShock 4 and a copy of Uncharted 4: A Thief’s End on Blu-ray. 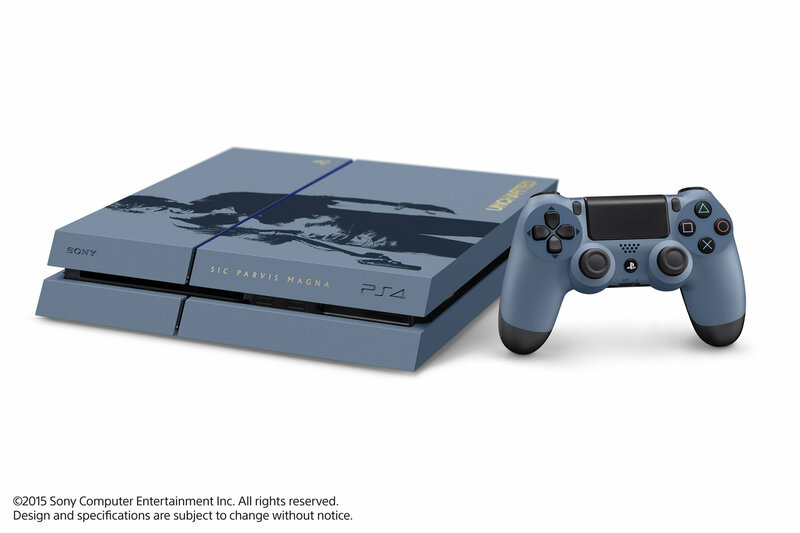 The limited edition PS4 also features the PlayStation logo, Uncharted logo, and the phrase “SIC PARVIS MAGNA” in gold. “SIC PARVIS MAGNA” is Latin for “Greatness from small beginnings” and is the same phrase engraved on Drake’s ring. The Limited Edition bundle will be available in the U.S. and Canada on April 26th for $399.99 USD / $499.99 CAD. 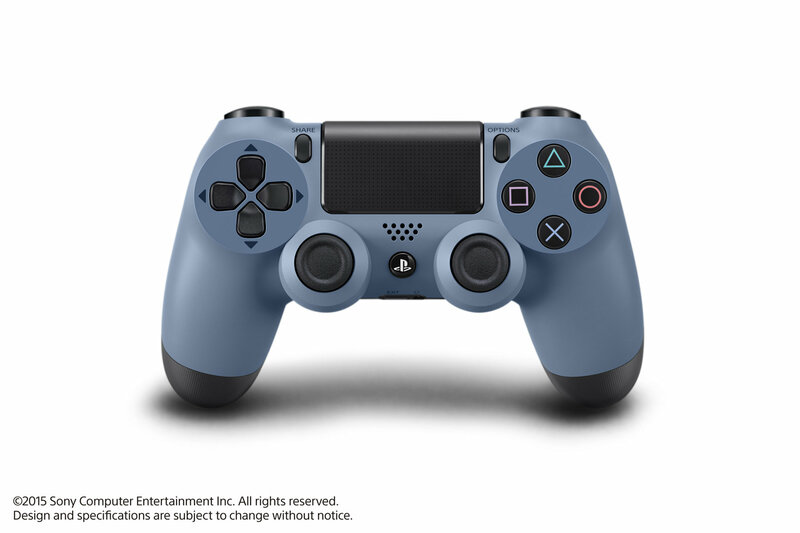 There will also be a limited edition Uncharted 4 Gold Wireless Headset along with a matching grey-blue controller you can buy separately.